A disco isn’t just for Christmas and New Year, or weddings for that matter, although The Beat can handle them all with equal impact. I can provide for any kind of the usual celebrations and special events – weddings, engagements, hen nights, bridal showers, birthdays, debutante balls, school proms, children’s parties, bar mitzvahs – and tailor the package to suit the style and theme of the night. Approaching a big anniversary, or life milestone? What better way to celebrate than with a themed night featuring music from ‘back in your day’ or showing that you can still shake it to current dance hits? Not having a celebratory function? 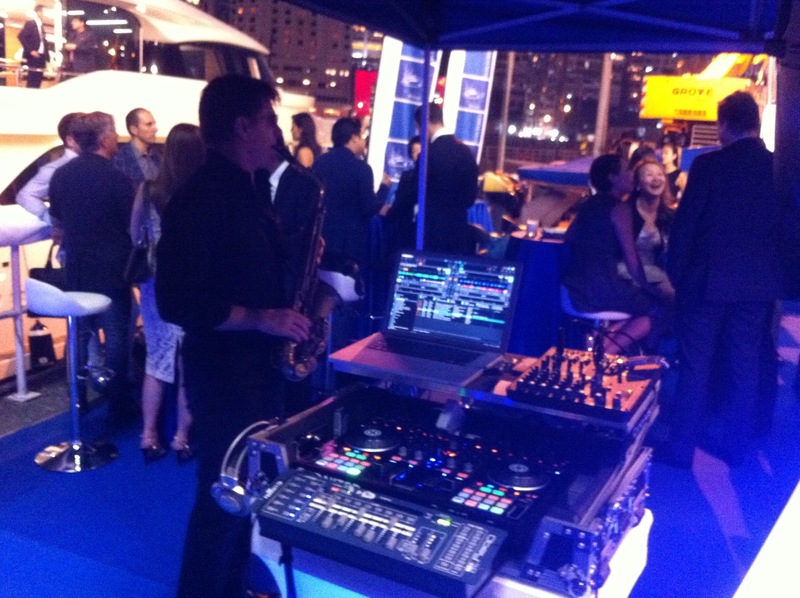 No problem… The Beat provides the perfect music and lighting solution for corporate functions as well. Do you run any of these? Company annual dinner – Add another dimension with dancing to let your staff have a more memorable night. Have a band at your event, or other entertainers, raffles, a lucky draw, speeches, or awards? No problem… Let me provide the continuity work as MC and satisfy everybody’s tastes with variety in the dance music between live sets. Corporate marketing events – Launching a new product, showcasing a new business line, or opening a new outlet? Make sure your guests remember your product, and your company, for the fun party you held, instead of the usual card-drop-and-go. Make a lasting impact with suitable music, paired with mood lighting, while your guests network, then why not turn up the mood with dancing to end the night on a buzz? Wine, drink or food line promotion – Everybody does food and wine (or beer) pairing… But what about with music? Be different to your competitors and turn the event into a party to remember. Fashion collection launch and runway/catwalk – With a wide knowledge of genres, decades and World music, I can especially work with fashion designers and runway planners to choose exactly the right kind of music for the show, mix it, and present it throughout the rehearsals and event, leaving the runway planner one less aspect to worry about. No style of party or event is a problem – summer poolside, garden, valentine’s dinner, Burns supper ladies night, Halloween… Or maybe you just want to have a party? This is Hong Kong after all! Looking for other entertainment options, with or without a disco? Have a look here at what Hong Kong Beat has to offer to enhance your event. Looking cool on the tram, despite the 33C heat! Garden party with Ibiza anthems!